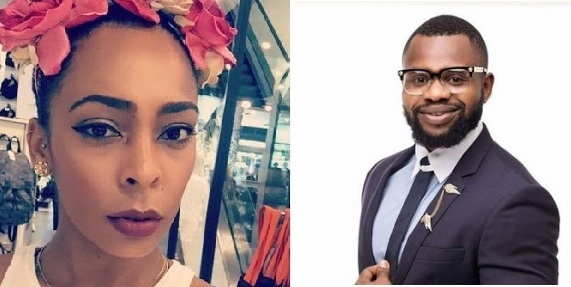 Tboss is not ready to talk about that fateful day in the Big Brother Naija house, when she was allegedly sexually molested by Kemen in her sleep. It happened many weeks ago in the Big Brother Naija House, but it has never really been addressed. Kemen was accused of sexually molesting his fellow housemate, Tboss and was disqualified. He has apologized and explained that he did no wrong, and has said when Tboss comes out of the house she will be able to talk about it. The reality TV show is over, Tboss is out of the house, and her response to talking about what happened that night has been put on hold by the Romanian-Nigerian. "The last thing I want to think about now is the Kemen issue. I didn’t like it and to be very honest, Kemen was a good friend. "But I really do not want to comment about this right now. I am not ready. When I’m ready, I will speak about it", she said. During the winners party organized by Big Brother Naija last Friday, Tboss and Kemen avoided each other.